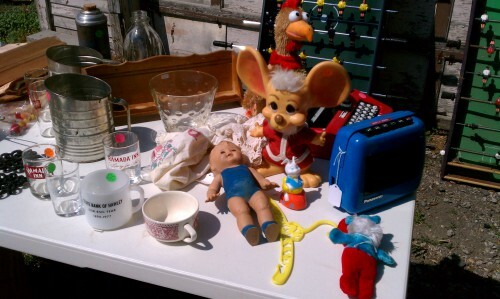 Today, Saturday, July 28 (2012), we’re having a good old fashioned rummage or yard sale! So stop on buy, err, by 14 6th Ave N in Fargo, ND — in the alley. Open from 9 to 3. Check out our Facebook page to see what else we’re selling today! 2 Responses to "We Have Your Collectibles On The Lawn"